It's a page turner indeed. And a well written that one. I still can't believe that Browder did it without a ghostwriter – or maybe he just paid a bit more, and the ghost remained unnamed. Anyways. This book is a play in three acts, and each act is very different from the others. Act one, the beginnings of Bill Browder and Hermitage Capital, to my mind, is the best part of all. 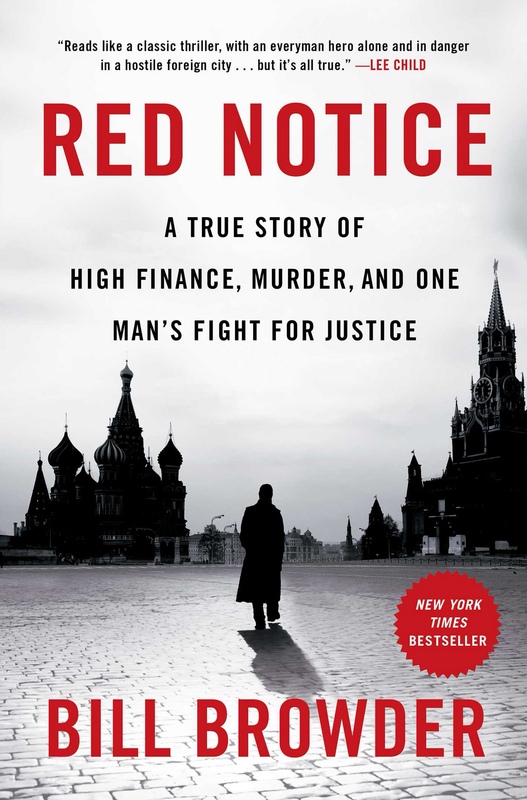 It is (as rotten tomatoes would put it) certified fresh, a dazzling success story in Russia's raving 90s, a tale how Browder believed in what others did not believe in, doubled down on his bets and in just a few years became the legendary fund manager and shareholder activist he was both famous and notorious for. Act two, where all the trouble with the Russian government starts, has a feel of a Litvinenko / Tinker Tailor spy novel – only, quite unfortunately, we all know how act two ends, a bruised corpse in a solitary cell, and it ain't pretty. A true scare for the Russian middle class of bankers, lawyers and the rest. No justice. And, finally, in act three Browder tells his tale how he took the House of Cards down – a detailed recount how he was greasing the wheels of the U.S. lawmaking machine to piss his enemies back in Moscow. His cause was undeniable, and, frankly, I do believe that his results went far ahead of his own expectations. What this book lacks, though, is a critical view of Browder persona and explanations of certain events. Why was he expelled out of Russia? For past Gazprom shareholder activism? Seems too far fetched. There was a fact that he somehow doesn't want to explain in detail. Did he try to help Magnitsky get out of prison, really tried? Or did he need a postcard boy jailed to justify his cause, and then this posterboy suddenly became a martyr? The fact doesn't exonerate prison butchers who should be in prison in quite another role, but still. Who are the masterminds of the crime? The villains in the book are two policemen – a strange twist for all the people who followed Browder's YouTube campaign, where these policemen as alleged to be acting on orders of a certain Mr. Klyuev. He is named as the main villain on untouchables websites, still up and running – and not even one (!) mention in the book! Huh? Also, Mr. Browder paints a way too splendid “knight in shining armor” picture of himself – the man who puts people before business. Will that reputation hold in Moscow business circles, with men who knew Browder for years? It's hard to be shareholder activist and successful investor in Russia and not become a hard gutted cynic.